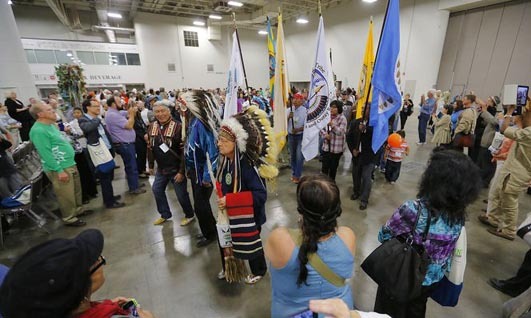 Salt Lake City (USA): Ten thousand leaders from 50 religious traditions and 80 nations participated in the the world's sixth Parliament of the World's Religions that was held from the October 15 to 19 at the Convention Center here. The spiritual leaders from India availed of the opportunity to highlight the significance and relevance of 'Swachh Bharat,' a campaign of public and personal hygiene launched in India by the Narendra Modi-led Government. They emphasised that globally more people perish each year from lack of clean, safe, sufficient water, hygiene and sanitation than from all forms of violence combined. In India, every day 1,800 children under the age of five die due to lack of clean and healthy water, sanitation and hygiene (WASH). About 600 million people in India still have no access to toilets, which results in the spread of disease as water resources and open spaces become contaminated. There was also for the first time a Women's Assembly held. 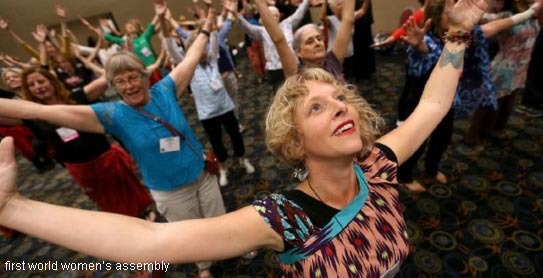 The Parliament of the World's Religions came to a close on Monday with leaders of the largest interfaith gathering revealing plans to conduct a gathering every two years. Tibetan Buddhist monks from the Drepung Loseling monastery had assembled an intricate mandala sand painting. Later on Monday it was quickly dismantled. This is part of a ritual to show the impermanence of all that exists, said Geshe Loden, a Tibetan Buddhist spiritual leader. Among the leaders present were Swami Chidanand Saraswati, president, Parmarth Niketan, Co-Chair, Global Interfaith WASH Alliance, Imam Umer Ahmed Ilyasi, president, All-India Association of Imams, Madhavpriyadas Swami, head of Shri Swaminaryan Gurukul, Ahmedabad, Bhaisahib Sukhbir Singh, Bhaisahib Satpal Khalsa and others. The conduct of parliament follows the tradition established by Swami Vivekananda over a hundred years ago.